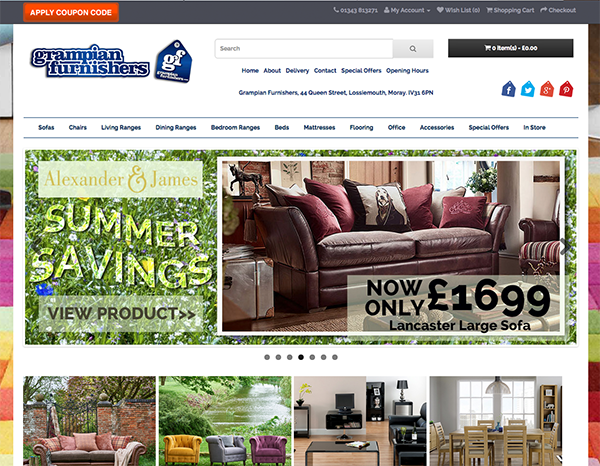 So I was given the mammoth task, and great opportunity, to redesign and rebuild the grampian Furnishers website so that it was compatible with all devices including phones and tablets. The final design clean and crisp and allows the user to view and purchase all items with just a couple of clicks. This was a brilliant project to work on and I waas more than happy with the final result.